Warner Bros. Television will be showcasing a handful of shows at the 2018 New York Comic Con taking place October 3rd through October 7th. Fans on hand at this year’s NYCC will be treated to a special world premiere screening of Titans as well as panels with the casts of Legacies, Roswell, New Mexico, Blindspot, The 100, Riverdale, Manifest, and Gotham. Among the cast members expected to attend are Titans‘ Brenton Thwaites, Teagan Croft, Anna Diop, Ryan Potter, Minka Kelly, and Alan Ritchson. Legacies stars Danielle Rose Russell, Matt Davis, Jenny Boyd, Kaylee Bryant, Quincy Fouse, Aria Shahghasemi and Peyton Alex Smith will represent The Originals spinoff at this year’s NYCC. Blindspot‘s leads Jaimie Alexander and Sullivan Stapleton are scheduled to attend, as are Manifest‘s Melissa Roxburgh and Josh Dallas. 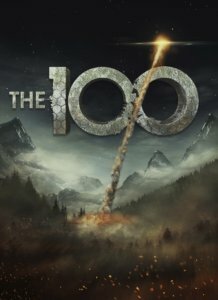 The 100‘s Eliza Taylor and Bob Morley will talk about the show’s fifth season, and KJ Apa, Lili Reinhart, Luke Perry, Mädchen Amick will chat about what’s in store on Riverdale. •	7:30 p.m. Titans World Premiere Screening and Q&A –– Warner Bros. Television’s highly anticipated, live-action dramatic adventure series Titans will be the first original series to launch on the upcoming DC UNIVERSE, the first-of-its-kind digital subscription service that gives fans access to exclusive content and experiences not available anywhere else. 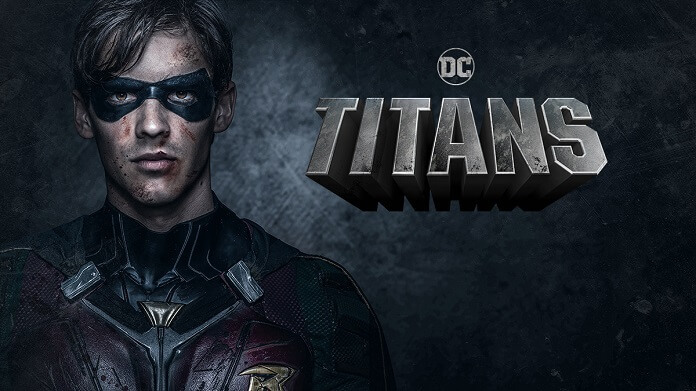 But before its October 12 debut on the DC UNIVERSE service, Titans will serve as the kickoff event for New York Comic Con 2018, with an exclusive world premiere screening on Wednesday night followed by a Q&A session with series stars and executive producers. •	4:45–5:40 p.m. Blindspot Season Four Premiere Screening and Q&A — Following the action-packed, emotionally charged cliffhangers that ended season three, Blindspot returns for its third appearance at New York Comic Con! Sullivan Stapleton and Jaimie Alexander star in this one-hour action thriller from Berlanti Productions and Quinn’s House, Inc. in association with Warner Bros. Television. As we learned in last season’s finale, Jane (Jaimie Alexander) is being poisoned by ZIP, the very drug used to wipe her memory at the premiere of the series. Also suffering from the disease, her brother Roman (Luke Mitchell) was searching for a cure and hid caches of data all over the globe. The team will follow a trail of cryptic breadcrumbs that lead to all-new crimes to solve and, with any luck, a cure to save Jane. •	5:40–6:05 p.m. Manifest Special Video Presentation and Q&A –– When Montego Air Flight 828 landed safely in New York after a turbulent but routine flight, the crew and passengers were relieved. Yet in the span of those few hours, the world had aged five years and their friends, families and colleagues, after mourning their loss, had given up hope and moved on. Now, faced with the impossible, they’re all given a second chance. But as their new realities become clear, a deeper mystery unfolds and some of the returned passengers soon realize they may be meant for something greater than they ever thought possible. From executive producers Jeff Rake (The Mysteries of Laura, The Tomorrow People, Boston Legal, Miss Match, The Practice), Robert Zemeckis (Forrest Gump, Back to the Future movies, Cast Away, What Lies Beneath, Contact), Jack Rapke (Cast Away, The Polar Express, What Lies Beneath) and Jackie Levine (Flight, Real Steel, Allied, The Borgias) comes an emotionally rich, unexpected journey into a world grounded in hope, heart and destiny. •	10:00–11:00 a.m. Riverdale Exclusive Sneak Peek and Q&A –– Following yet another drama-filled season and shocking season two finale, don’t miss Riverdale when it makes its debut at New York Comic Con this year! Join Archie and the gang as they continue to dive into the secrets that loom and keep emerging from the shadows in a town that once seemed like a quiet, ordinary place. 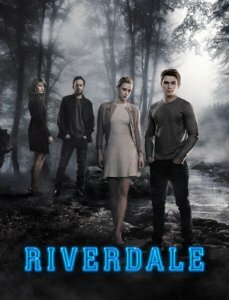 The circumstances surrounding Archie’s arrest kick off the drama of season three as the gang tries to #FreeArchie, while Hiram Lodge continues to flesh out his plans to control not only Riverdale, but also the ever growing SoDale.